WHO: ...am I ? After basic health checks for my loved ones the next thought to pass through my mind is guaranteed to be about cars, bikes, riding, driving or racing. Its been with me forever, much to my wife's astonishment/ frustration. It is a passion that is hard to explain to those who do not share it. As soon as I could I passed my car and bike tests and have driven and ridden ever since. I chose a career in which I could earn enough to finance the passion and purchased my first car, an MGB GT in British racing green. This car had endless character and it also started my preference for British, green, rear wheel drive cars (see Curriculum Vitae on Instagram #testaveloce) I kept the car for a long time as I found that the longer you own a car the more you get out of it. This also became a standard for my ownership as in my 20 years of driving I have only owned seven cars and five bikes. Moving on from one car is a long thought out process and one that supports my endless viewing on Autotrader and other sales sites. Always looking at the prices, what is the best value for money. What will be my next buy. Perish the thought of being without a car or bike, this is an emotional strain which affects both myself and (pathetically) those around me. I do what I can to feed my passion, advance driving courses, track days, tours and trips, kart racing, detailing etc. I'm not able to buy the best classics or latest trickery but I enjoy what I can so I thought I should share it with like minded folks. Thats YOU ! WHAT : ... is TestaVeloce ? Literally translated it means Head Speed, but it sounds good and that is what is in my head. Our goals are aimed to regain a sense of normality in the motoring world for the Ordinary Everyday Motorist ("OEM"). There is so much content available for petrol heads to digest, we can constantly be fed spoonfuls of unobtainable shiny exotica or re-imagined classics. There is channel after channel on video sites with either a floppy haired presenter and a few ounces of knowledge or films of people speccing exclusive cars, is that something I really want to see ? Personally I have one or two favourites who I watch and read and that is that. Choice of course is the benefit of this deluge, there is something for everyone however it is up to the ordinary motorist to find and choose. This is why I set up Testa Veloce. It's a site that tells the Anecdotes and Adventures ("AA") of the ordinary everyday motorist, a glass of reality tonic for the deluge of motoring content, a spray of normalization on the mad world we are in. Anecdotes and Adventures and Reviews are all my own experiences and of those who I class as friends and partners of Testa Veloce. How much was your annual service ? How was Eau Rouge in your Porsche ? Why did you buy one ? How long did you save for ? All the everyday questions and concerns you would have. If we do a feature on a "supercar", we will seek answers to questions such as What's it like to drive to the supermarket ? Where do you park it ? Have you done many track days ? I want to drill into what it is REALLY like to own and drive your car/bike . Yes I like fast Italian cars that change gear in under a nanosecond and bikes that give you back and wrist ache but I also like the characters within the forgotten machines and the owners who tell the story best. Of course there are also many experiences we as petrol heads can enjoy and here I will share mine and many more. What is it really like to visit the factory at Pagani? 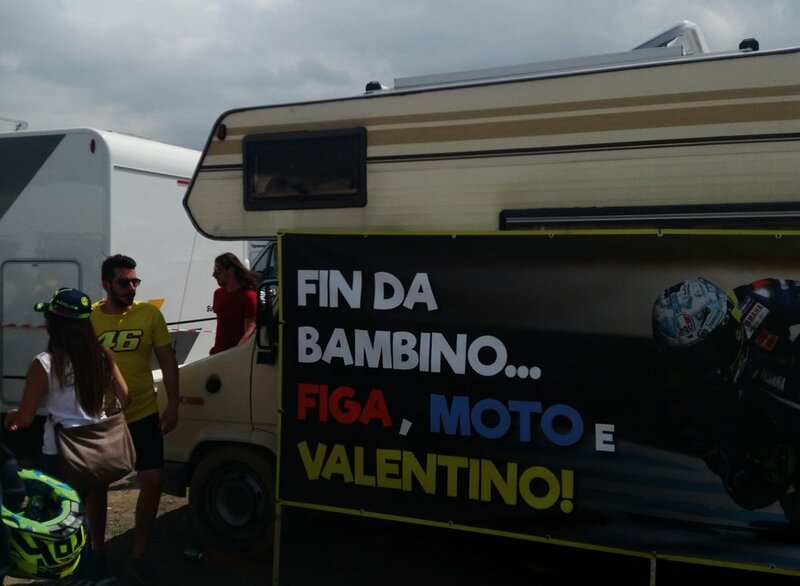 What was the atmosphere like at Mugello ? I will also arrange our own meet ups and trip outs so we can create our own content, this will form itself through the Club (please sign up on the Club page). We can meet and discuss our own "AA" which can be a feature on the site, REALLY SOCIAL MEDIA. If you have signed up you will be notified of new content and upcoming events. Further down the road I plan to add shop that sells tasteful automotive memorabilia and associted motoring paraphinalia, maybe the odd machine that has a suitable amount of character too so lookout for the announcements on that. Anyway, I should save this prattle for a face to face over a brew. Thanks for reading, this is for you as much as us so please subscribe, like, contribute, feedback, join, skip and jump and keep driving, its our art. Artomotive.